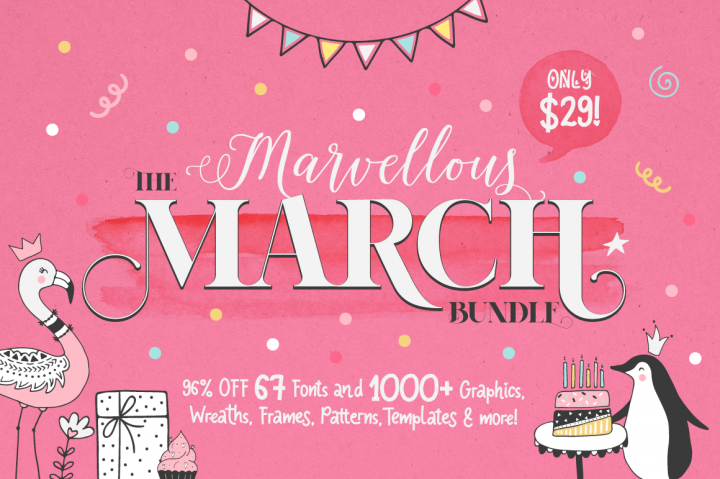 Today is the perfect time for a Marvellous March Bundle!! Packed full with 67 different font files from 36 font families and over 1000 graphics elements, compositions & patterns, templates & more! Get this gorgeous collection for ONLY $29 — normally priced at $749!